Halfords stores are offering customers 20 per cent off new navigation systems and DAB radio head units when they trade in their old unit. The offer runs from June 1 to August 2. 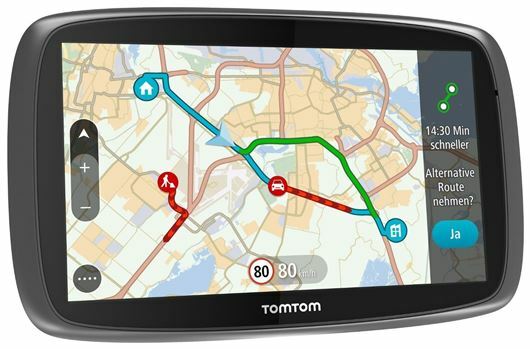 There are 18 new DAB radios and 20 sat navs to choose from, including the TomTom Go 6100, which features lifetime map updates and lifetime traffic alerts. Priced at £299.99, a 20 per cent saving comes to £60. Among the DAB radio units on offer is the pricey but feature packed Pioneer AVH8700BT, which incorporates a seven-inch touchscreen with integrated Android Auto and Apple CarPlay smartphone support. This costs £599.99, but with the 20 per cent reduction is available for £480. For more information on the radio head units and navigation systems on offer, visit the Halfords website.